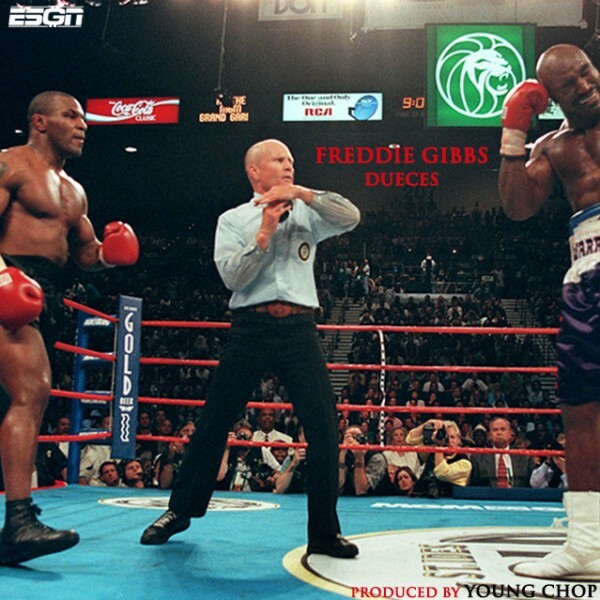 Freddie Gibbs keeps his momentum going as he releases a new song titled, “Deuces,” despite having to delay his latest mixtape release, Anybody Killa. Take a listen as Gangster Gibbs serves up a new street banger that finds the rapper linking up with producer Young Chop. Freddie goes to work over a dark and pounding instrumental and shows off his signature aggressive flow as he drops bars about getting his hands dirty and putting it work out on the block. This entry was posted in Audio and tagged deuces, ESGN, Freddie gibbs, hip hop, rap, young chop. Bookmark the permalink.